More than 4,300 Canadians will develop cancer of the head and neck (most of which is preventable) this year; nearly 1,610 of them will die from it. Tobacco is the most preventable cause of these deaths. Cancer of the head and neck is curable if caught early. Fortunately, most head and neck cancers produce early symptoms. You should know the possible warning signs so you can alert your doctor to your symptoms as soon as possible. Remember – successful treatment of head and neck cancer can depend on early detection. Knowing and recognizing the signs of head and neck cancer can save your life. Change in the voice…Most cancers in the larynx cause some change in voice. Any hoarseness or other voice change lasting more than two weeks should alert you to see your physician. 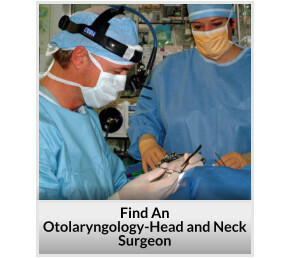 An otolaryngologist is a head and neck specialist who can examine your vocal cords easily and painlessly. While most voice changes are not caused by cancer, you shouldn’t take chances. A growth in the mouth…Most cancers of the mouth or tongue cause a sore or swelling that doesn’t go away. These sores and swellings may be painless unless they become infected. Bleeding may occur, but often not until late in the disease. If an ulcer or swelling is accompanied by lumps in the neck, be very concerned. Your dentist or doctor can determine if a biopsy (tissue sample test) is needed and can refer you to a head and neck surgeon to perform this procedure. Bringing up blood…This is often caused by something other than cancer. However, tumors in the nose, mouth, throat or lungs can cause bleeding. If blood appears in your saliva or phlegm for more than a few days, you should see your physician. Changes in the skin…The most common head and neck cancer is basal cell cancer of the skin. Fortunately, this is rarely a major problem if treated early. Basal cell cancers appear most often on sun-exposed areas like the forehead, face, and ears, although they can occur almost anywhere on the skin. Other kinds of cancer, including squamous cell cancer and malignant melanoma, also occur on the skin of the head and neck. Most squamous cell cancers occur on the lower lip and ear. They may look like basal cell cancers and, if caught early and properly treated, usually are not much more dangerous. If there is a sore on the lip, lower face, or ear that does not heal, consult a physician. Malignant melanoma classically produces dense blue-black or black decolorations of the skin. However, any mole that changes size, color, or begins to bleed may be trouble. A black or blue-black spot on the face or neck, particularly if it changes size or shape, should be seen as soon as possible by a dermatologist or other physician. All of the symptoms and signs described here can occur with no cancer present. In fact, many times complaints of this type will be due to some other condition. But you can’t tell without an examination. So, if they do occur, see your doctor–and be sure.